Andanda Pathak, veteran CPM leader, former M.P. and one of the tallest leaders of Darjeeling district, passed away around 4 a.m. on Friday at a private nursing home in Siliguri. He was 84 and suffering from prolonged illness. Pathak was unwell for the last couple of months and had been admitted at a nursing home earlier too. “He passed away about 4 a.m. today at the hospital,” said son Saman Pathak, former Rajya Sabha M.P. from Darjeeling. Well-wishers of all hues thronged the CPM veteran’s house throughout the day to offer their condolences to the family and pay their last respects to Pathak whose name had remained unblemished throughout his long political career. North Bengal Development Department Minister Gautam Deb, Kurseong MLA Rohit Sharma, CPM leaders Ashok Bhattacharya and Jibesh Sarkar and Congress MLA Shankar Malakar were among those who visited Pathak’s residence in Pradhan Nagar. Pathak was born in 1930 at Haridashatta in Darjeeling. 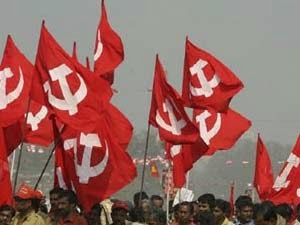 He quit a government job with the Military Engineering Service when he was 50 to join the CPM as a full-time activist. He was an MLA and three times M.P from Darjeeling. The party nominated him MLA in 1971 and a Rajya Sabha member in 1980. Pathak won the Darjeeling Lok Sabha seat in 1984 and 1998. Pathak is credited to have placed the Regional Autonomy Bill in Lok Sabha in 1985. He was a cheerful, down-to-earth and a polite person who always fought for the rights of tea garden workers as a leader of the Darjeeling District Chiya Kaman Mazdoor Union. Andanda Pathak, veteran CPM leader, former M.P. and one of the tallest leaders of Darjeeling district, passed away around 4 a.m. on Friday at a private nursing home in Siliguri.